I can’t seem to get my hands on enough pumpkin and apple treats this fall. Apple fritters, impossibly moist pumpkin bread, and all those spicy fall brews. Not to mention Trader Joe’s pumpkin explosion. Pumpkin flavored toaster pastries?? (I haven’t given in to those yet, but I don’t know how much longer I can restrain myself.) You’d think I’d be on autumn overload, but I’m not. Not even close. In fact, a few more fall favorites have won over my taste buds. 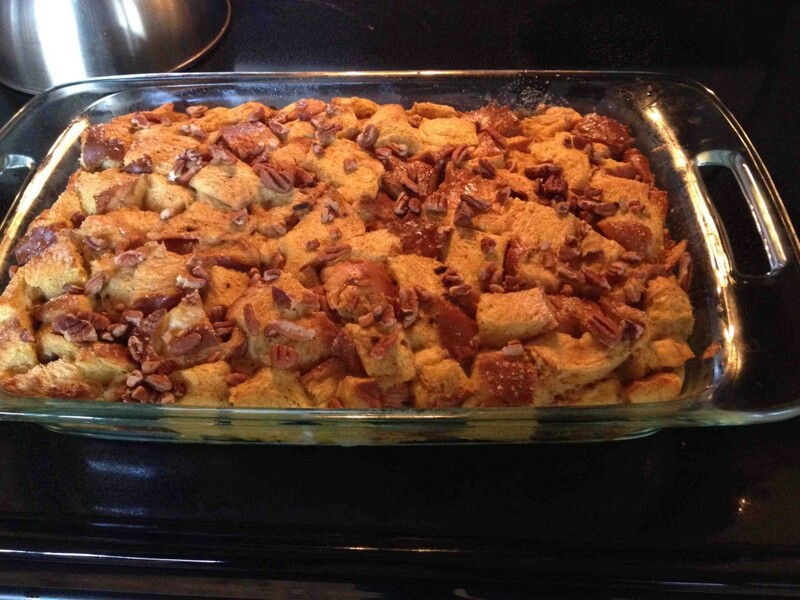 Like this Pumpkin Pie French Toast Bake that I found on Pinterest and made for a family mountain vacation. Delish! This french toast has just the right amount of sweetness. I highly recommend making your own pumpkin butter like the recipe suggests. My taste buds are such pushovers when it comes to fall’s triple threat of cinnamon, cloves, and nutmeg. However, the newcomers have stiff competition from my tried-and-true fall favs. They’ll have to really put up a fight to get into the top five. So, before I make myself any hungrier I’ll get to the list. 1. Apple Fritters from Coston’s Apple House Country Store in Hendersonville, N.C.
Fresh apple fritters as big as your face. Need I say more? Word of warning: these treats are big enough to share, but don’t plan on wanting to. I once at a whole loaf by myself. I wish I was kidding. The cinnamon sugar crust is key. Starbucks ain’t got nothing on this loaf. Yes, back to Coston’s. This little country store is a goldmine of apple goodness. Buttery, flaky crust wrapped around a sweet mixture of brown sugar and fresh honey-crisp apples makes it impossible to just have one. Did I mention they’re served warm? **Note: Buy more than you think you can eat. Sharing is not an option. 4. Punk’n Harvest Pumpkin Ale by Uinta Brewing Co. The first time I had this was in glass with brown sugar on the rim and a shot of bailey’s thrown in. The little pub that makes it appropriately calls it the Pumpkin Bomb. Unlike other brews that claim to be pumpkin flavored–this one actually is. Plus, fall’s trinity of flavors brings out the flavor. No need to spend Saturday morning making pancakes from scratch with this perfectly spiced mix. Pour on the maple syrup for a yummy blend of spicy and sweet. No, it’s not a mistake. The beloved PSL didn’t make my list. There were just too many other delicious fall concoctions that I love more, but if you have a good pumpkin coffee rec I’ll take it! Feel free to leave your favorite fall treat in a comment below. Who knows, maybe it’ll make my list in the years to come! I made Betty Crocker’s Blackberry Cobbler last night while my husband and I watched the Golden Globes, but I wasn’t about to miss any big awards or side-splitting jokes from Tina Fey and Amy Poehler to make it. So, during the commercial breaks I slipped into the kitchen because it only requires a few minutes to put together (after soaking the blackberries). I think Betty Crocker deserves a few awards of her own for this recipe. 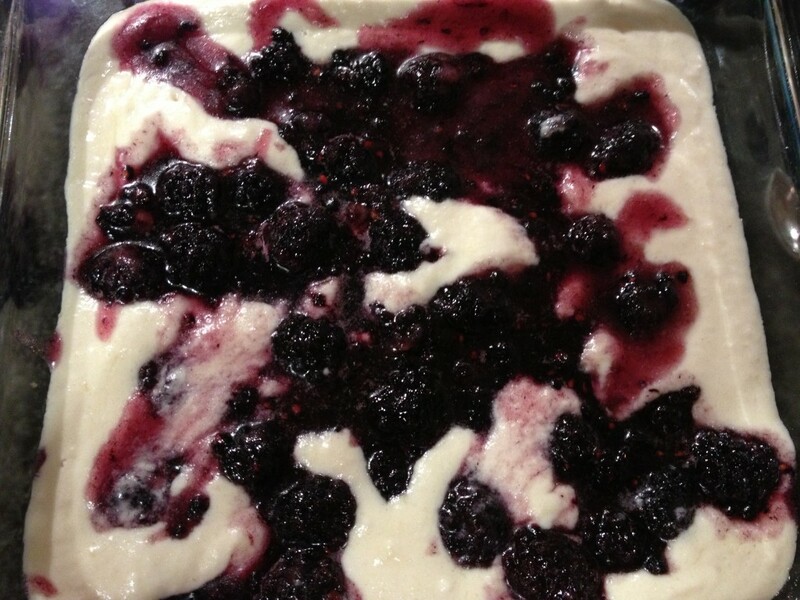 In a medium bowl stir together blackberries and sugar. Let stand 20 minutes or until a fruit syrup forms. Preheat oven to 375 degrees. In a large bowl, stir together flour, baking powder, salt, and milk. Then, stir in melted butter until it’s blended. Spread flour mixture in an ungreased 8×8 square pan. Then, spoon the blackberry mixture on top. Bake for 45-55 minutes or until dough rises and top is golden. Eat it while it’s warm! 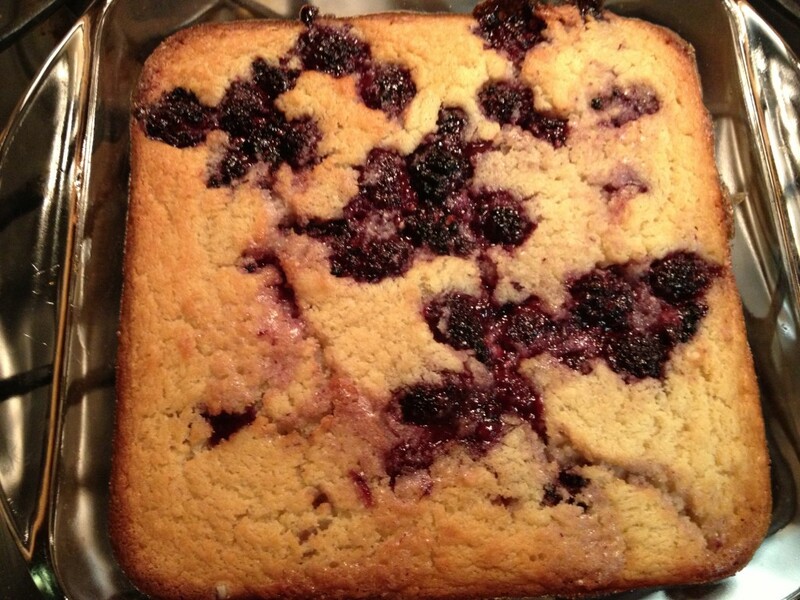 A blackberry cobbler good enough for the red carpet. 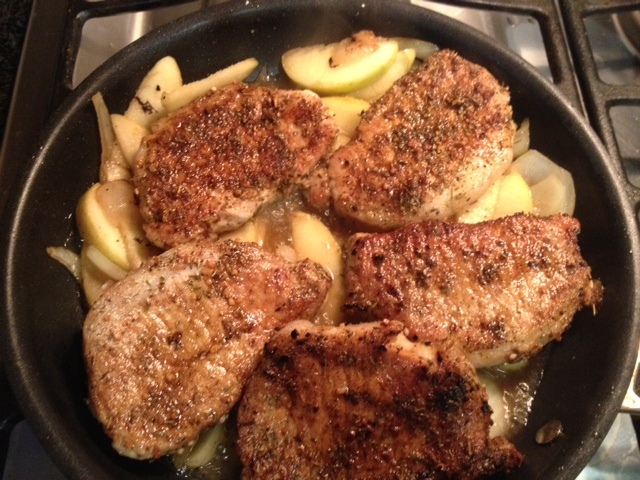 A fall treat – sauteed pork and hand-picked apples from Hendersonville!